Based on a genuinely moving true story, this film undercuts the realism by pushing its heroic machismo at every turn. 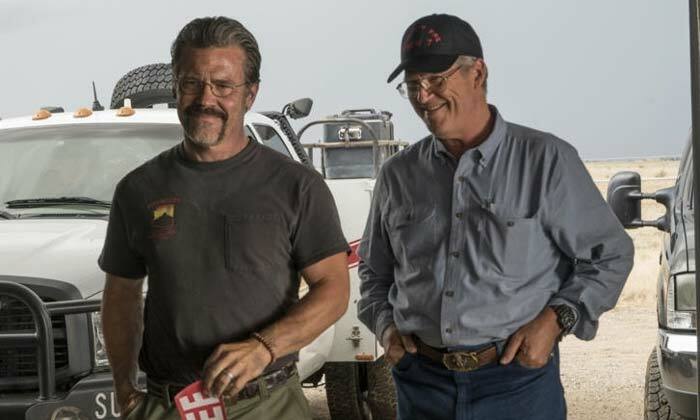 It's a well-made movie, with an above-average cast, and yet both the story and characters are neglected in the rush to honour the real-life men who risk their lives fighting wildfires. Thankfully, there are some strong, quiet moments along the way, and the story itself carries a proper emotional wallop. 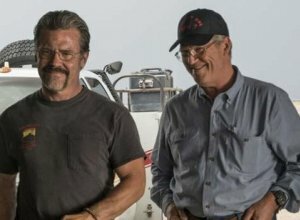 It's set in Prescott, Arizona, where Eric (Josh Brolin) is trying to get his firefighting team certified as hotshots, qualified to take on the big wildfires. Supported by fire chief Duane (Jeff Bridges), he builds a crew that includes loyal captain Jesse (James Badge Dale) and talented womaniser Mac (Taylor Kitsch), and he gives a second chance to Brendan (Miles Teller), a recovering addict who reminds Eric of himself. Then when the crew is certified as the Granite Mountain Hotshots, the pressures of work strain their relationships with their wives and children. Indeed, Eric's strong-minded horse-trainer wife Amanda (Jennifer Connelly) is annoyed that she's now seeing even less of him than before, but she supports his passion for the job. Director Joseph Kozinski (Tron Legacy) directs the film with a rather relentless earnestness, clearly in reverent awe of these men. This allows for brief moments of raucous camaraderie, carefully controlled for a young teen audience, so the characters are interesting if never authentic. They feel more like overgrown Boy Scouts than earthy firefighters, and the overtones of heroism amongst them are a bit exhausting. Events unfold anecdotally, providing carefully concocted moments both in family lives and in the rather dull work of containing a wildfire. 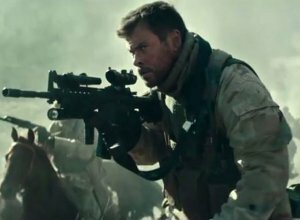 And this somewhat choppy approach prevents the film from building much momentum as it approaches its emotional climax, which is genuinely shattering. With heavy echoes of trashy thrillers like Fatal Attraction, this movie overcomes its painfully simplistic script with plenty of nasty nuttiness. It may be a problem that none of this is intentionally hilarious, but the audience will enjoy giggling along as the only barely defined characters get pushed into increasingly grisly situations that all hinge on corny coincidences and the fact that no one talks to each other. Yes, it's terrible, but also a guilty pleasure. 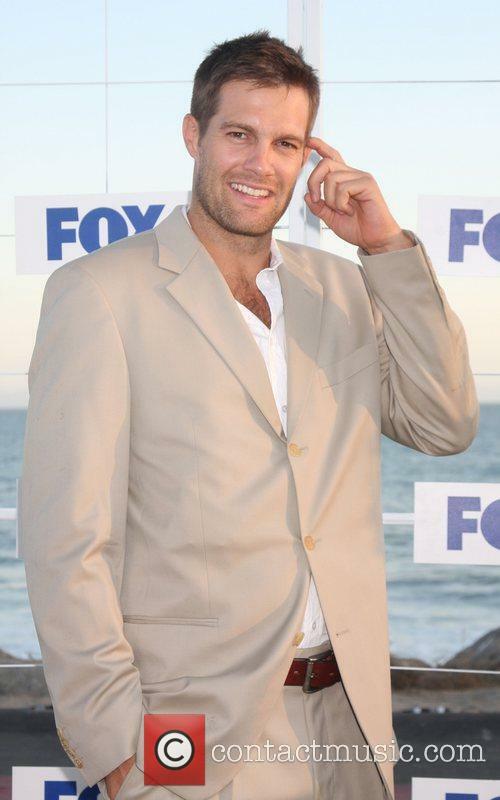 It's set in suburban Southern California, where Julia (Rosario Dawson) has just moved to live with her hunky fiance David (Geoff Stults), who runs a micro-brewery. He also shares custody of his daughter Lily (Isabella Kai Rice) with his super-sleek ex-wife Tessa (Katherine Heigl), who clearly wants him back. So of course she sets out to make Julia's life miserable, all while smiling not-so-innocently. Her masterstroke is to lure Julia's violent ex (Simon Kassianides) to town once the restraining order against him expires. And of course, Tessa is carefully making it look like Julia's the one who's losing her marbles. Director-producer Denise Di Novi lays this on thickly, with ominous musical undertones every time Heigl appears on-screen, to remind us that she's up to something nefarious. As if we didn't already know that by her pinched expression, uber-flattened hairstyle and tightly fitted dresses. 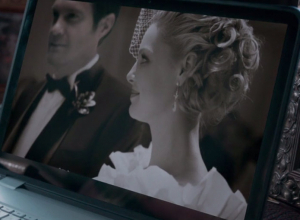 Heigl generates some sympathy for Tessa as the woman scorned, and the appearance of her even more monstrous mother (Cheryl Ladd) adds the idea that she couldn't help growing up into this manipulative creep. Meanwhile, Dawson does some serious acting as Julia, a woman trying her best in a very difficult situation. On the other hand, it's impossible to understand how her brain works, especially when she continually withholds key information about both her past and her present from David. Jealousy is a dangerous emotion. 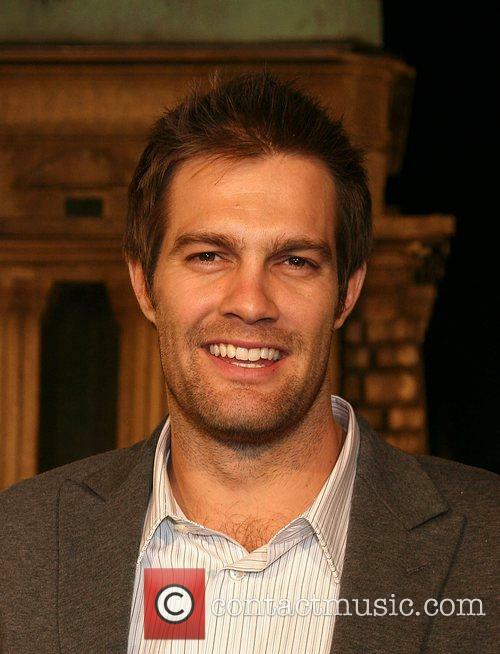 Tessa (Katherine Heigl) thought she had a chance to get her ex-husband David (Geoff Stults) back and finally be a family again with their daughter Lily (Isabella Rice), but then he met the sweet and beautiful Julia (Rosario Dawson) who he obviosly fell hopelessly in love with and subsequently married. She's the polar opposite of Tessa, and as understanding as she tries to be towards the latter, it doesn't stop Tessa plotting to destroy their happy home life. She thinks Julia has stolen her world and plans to get revenge by delving into her dark past life and raising doubts about her to David. Things come to a head when a man dies, and Julia is the one with blood on her hands. For all its rude humour and chucklehead antics, this is actually a sweet and shy romantic comedy. It also boosts Jay Baruchel into leading-man status with a thoroughly charming performance. Two years after taking a break from his girlfriend (Sloane), geeky airport security guard Kirk (Baruchel) still pines for her. Then he meets the unspeakably hot Molly (Eve), who improbably takes an interest in him. But Kirk's buddies (Miller, Vogel and Torrence) and his parents (Rupp and LeFevre) wonder how this dork could land such a gorgeous, smart, successful girl. The truth might be that he's not such a loser after all. But how will he ever believe that? Somewhat like watching the Disney Channel's girl-power prime-time lineup through a muddled exploitation-lite filter, D.E.B.S. is a patently ridiculous teen-spies scenario that's played mostly for laughs but oddly enough only works when it's being downright sincere. The film imagines that there's an entire wing of the national intelligence apparatus composed of nubile young women in tarty schoolgirl outfits (knee socks, plaid miniskirts, the whole bit) selected by how they answered questions buried in the SATs that secretly test for espionage aptitude. The starring quartet of hotties soon to graduate from the D.E.B.S. academy are: straight-A and dishwater dull Amy (Sara Foster, her blonde hair making her the star), chain-smoking and slutty Domique (Devon Aoki, sporting a respectable French accent), love-starved and not-too-bright underachiever Janet (Jill Ritchie) and their over-the-top bitchy leader Max (Meagan Good, trying too hard). About 20 minutes before the credits roll in "WeddingCrashers," something goes very wrong. It feels as if a drunken scriptdoctor stumbled into the party, demanded to know where all the clicheshad gone and insisted they be put right back where they belong. Soon there are interrupted weddings, "I tried to tellyou but couldn't" apologies and an avalanche of other plot machinationsthat come close to ruining what is otherwise the bawdiest, most consistentlyhilarious comedy so far this year. Vince Vaughn and Owen Wilson have an ad-lib-happy, almostHope-and-Crosby-like chemistry as a pair of buddies -- ironically talenteddivorce mediators by profession -- who spend their free time attendingweddings of people they don't know to score with girls they'll never seeagain. Almost the entire first reel of the movie is something akin to afilmmaking miracle -- one long, perfectly-tuned montage sequence of variousethnic weddings that just keeps getting funnier and funnier as it mixestoasts, dances, flirtations, made-up war stories, fake tears, and prettygirls caught up in the romance of the day and jumping our heroes' bones. Story proper kicks in when the boys dare to crash "theKentucky Derby of weddings" -- the Secretary of State's eldest daughteris getting hitched -- and Wilson lays eyes on the middle daughter (talented,bright-eyed Everygirl knockout Rachel McAdams) as she's quietly snickeringthrough her sister's corny self-written vows.